Nice brick walkout ranch home just across the bridge in Hazel Green! 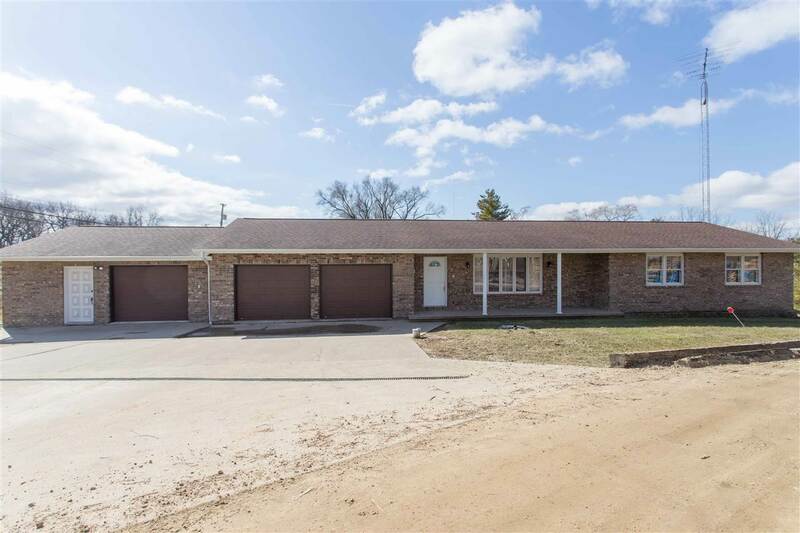 Home features 3 bedrooms, 2.5 baths, a 3-4 car garage and a nicely maintained interior with oak cabinets, paneled doors, newer flooring, updated bathroom vanities & faucets, some newer Pella windows, newer water heater & gutters, and a spacious 24&apos;x26&apos; detached garage/shed. Includes main floor laundry, a master bath, and a 2 side fireplace between the living room and kitchen! Just minutes from Dubuque!